Find Key West car rental information here at Fla-Keys.com, The Official Tourism site of The Florida Keys. 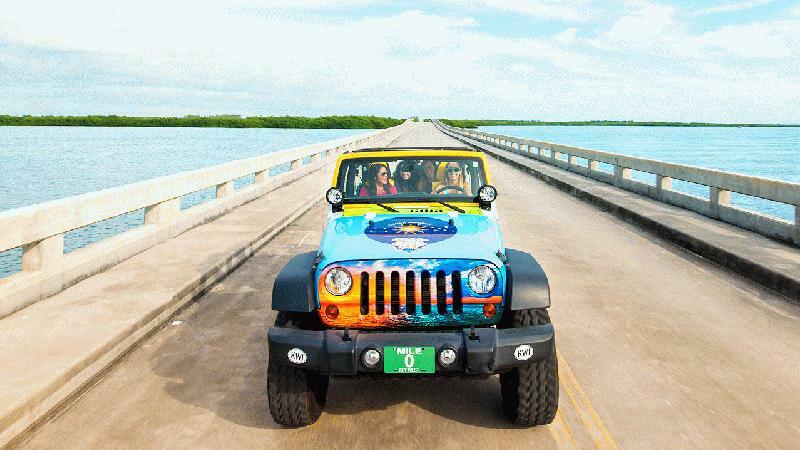 Explore the keys in a Jeep Wrangler. Doors on or off. Top up or down. Beach chairs/umbrellas/coolers available. Bikes and Kayaks available. See more of the Keys. Cruise the Seven Mile Bridge. Rates by the hour/day/week or month. Free pickup and return.